First, yuzu is not at all like a lemon or lime, and not nearly as user-friendly. 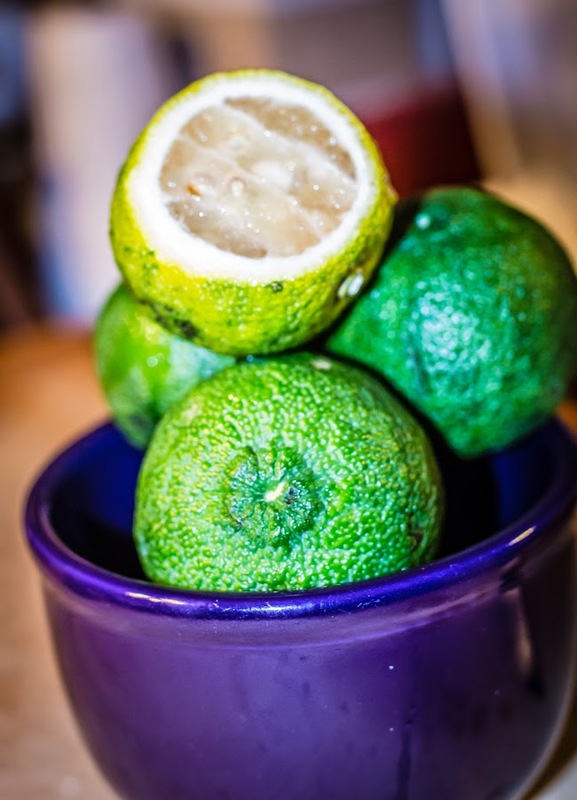 Two yuzu the size of large limes will give you about 1 scant tablespoon of juice and around 40+ seeds. With a thick rind and tons of seeds, there's not a ton of juice. But what makes this variety of citrus so special is hidden in that rind. Zesting the pebbly rind released wildly intense aromas of lemons and limes, but also grapefruit, pineapple, and super floral cantaloup. The juice carries these flavors, too, but with a muted intensity when compared to the rind. 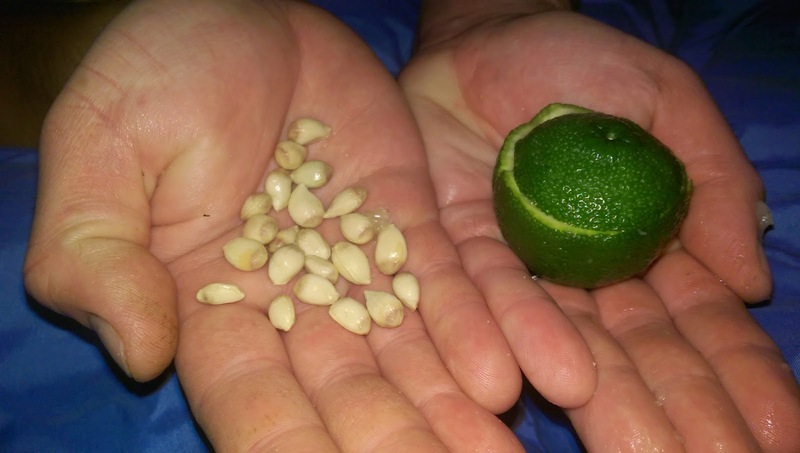 Lots of Seeds per Fruit! As hollandaise sauce is so rich with eggs and butter, I thought a nice, thick cut of white fish would be perfect. The market was advertising some beautiful Alaskan halibut under the peculiar title "America's Favorite Steak," While I found that slogan rather...odd...I went with two 3/4" thick filets. The one thing I've found about making a hollandaise or bernaise sauce is to have everything prepped and ready to go. Once you start whisking those eggs, you don't want to have to mince herbs, poke around for a serving bowl, or fiddle around with a side dish. If the eggs overcook, all is lost. Everything should be prepped, measured, and ready to go. Then, you can just focus on getting the eggs cooked perfectly and slowly adding in the butter. So I whisked together 3 egg yolks in a double boiler until thick like sour cream, then slowly incorporated butter. Finally I added in the juice of two yuzu, some salt, and lastly, the zest. Before getting the sauce on, I blanched the asparagus and seared the halibut, then popped the halibut to finish cooking in the oven. Once the sauce was finished, I piled up the asparagus to top with the halibut, then poured over a generous dollop of hollandaise. I've also found that prewarming the plates, although a bit fussy-sounding, really helps to keep the hollandaise from chilling and gumming up. I don't know when I'll get a chance to work with fresh yuzu again, but I would remake this recipe in a heartbeat. Granted, anything topped with hollandaise is going to taste good, but the exotic flavor of yuzu really made this dish stand out. But those exotic flavors are very fleeting. After dinner, I took a taste of the leftover yuzu hollandaise and found those volatile oils in the zest had lost their vibrancy, leaving me with a sauce that had a bland, cooked-lime flavor.